What is appealing to the audience when they visit your website? Obviously theover all design and the stunning appearance of the website catch their attention. Interestingly, the prospects are driven by the very feel of your website that givesout the user impression and interface aspects. Further, designing is the principal item that you should consider while planning development of your website as the design is considered to be the important factor, among other things which will follow next. This is one of the major reasons for customer conversions. The role of designing is vast as far as marketing is concerned.In an evolving marketing scene, good designs in turn facilitate great and positive results in sales. Visuallyappealing designs have always caught attention of the viewers by default. Generally, work of an excellently skilled designer always emote and stir the viewers’ heart. Needless to mention, the proficient designer has an eye for small nuances that lay beneath the website design.Irrespective of the stunning features of the design, it is nothing short of allegory to think that design ends at the visual stage itself. On the contrary, design is for the keeps and lives even beyond the perception of vision. In fact, it begins with the striking features; look, feel and user experience until the user exits the site. Check the difference between User Experience or UX for short v/s Customer Experience or CX for short. If you intend going beyond the visual eye of your design, two questions beg for answers: How and why do you expect visitors to be on your site? The time taken for completing the action and the lapse from a certain time to the time taken for next action could be termed as one of the factors. Well, it is not only the designer’s task but each and every person working on the website is equally responsible in order to generate good results. Always ensureyour contribution is directed to enhance the website, no matter whichever aspect you are working on. If you observe that in some way or the other each component on your website is related to your business objective. It would be exceptionally a good initiative to set apart specific targets for each of these components that will then collectively result in the main objective. It should be ensured that each of these elements is aligned in sync with your business projections and objectives. It is important that your interest must be set on every tiny detail when compiled together in order to form your complete project. All theseput together would generate a great user experience and potential to your business. Nevertheless whilst doing so, remember the bigger picture in the background, which happens many a time. Other aspects covering your design elements include font size and colour that essentially determine whether everything is in-line with user experience which is actually recommended. The success is in identifying the little things that truly matter is by giving attention to the main design components. From time immemorial, the customer has remained the king! This king will decide the success of your business; meaning your objective of focus must shift between your business and the customer, who is considered to be the supreme authority. But from a user point of view, a website design is regarded overwhelmingly as it aids them in their transition journey of their search not only effectively but also to efficiently find their desired goals. Feel in the users’ shoes and start thinking as they would be doing when browsing through the site. What are their likes and dislikes, what action they will prefer to take, so on and so forth. Significantly, these are valid questions that will ramble in your mind when you plan a design. The traditional shopkeepers followed this simple approach. However, larger projects involves greater plan covering various angles of online business. To actually get an idea of how your real users will react while they are on your website, you can implement by exploring the concept ofstorytelling, user personas et al. You could give a thought to incorporate these simple innovative ideas while designing your website and explore the possibility to put to effective use and watch it when the project goes live. The experience is amazing! On the whole the entire project development process has a significant role to play in designing which the designers lead while others down the line help in fine tuning to simplify further for a great experience for the users. Occasionally, to check whether our clients’ needs are taken care, we can implement ‘wireframes’ and ‘mood boards’. But before incorporating we must ensure that we are working towards the clients’ needs and requirements. Next thing on the agenda is to sketch your user’s experiences that enable an insight into the inputs of the user’s journey across your design which also includes the content and other aspects. Incidentally, sketching comescheap and does not consume much time either, besides easier to implement. Obviously, having short memory is common; similarly your user attention lasts for a very short span of time say 3 to 5 seconds. Utilize this time gap and sketch a fresh idea in nearly 30 seconds time. Across the layout and the design flow, you could sketch out your idea on user experience and then think about how your user will move across this. You can also include a few boxes, lines, arrows that can be in any shapes – if you go to see, the process is very simple. Your sketches will amazingly connect your thought process with the real working model and you will get a clear picture of your users’ movements. A need for white space is a moot point in the world of designing which is a conflicting issue. Some opine that white space is a good practice while some do not support the idea of white space at all. White space is to provide your users with a break while they have been straining all this time. It is obligatory that you give them a break because they have been struggling a lot as their sensory organs picking up all the information and the tiny cells in the medulla oblongata processing these information into receptors, which are picked up the brain’s sensors and the user finally realizes what they are viewing is what they are looking for. However, the trick behind such awesome creation in the white space being used in your designs is to make sure that their relationship with other space and elements on the page is well balanced. Not very long ago one used to assume when grids started making in-roads in the hearts of the millions and it made the designer’s job simply effortless. However, more than just concentrating on only the design part, it offers a great deal of collaboration to assist you in order to prepare a visual feast for your users eyes. A great visual impact for your users is the result of using a grid as it provides with the perfect platform to collaborate all the requisite elements of your design. To attain perfection of this tool count upon the skilled developer. 7. Does Everything Sync in? Essential elements for great website design. Care should be taken to align all the important elements in the website that attract the user and should also ensure that they yield the necessary output by way of footfalls to the site. No need to get into an argument over the yield result. You can start by choosing the element that should benefit the most. Now when people reach your site, they will know what is important here and they will stay focused and not ramble around. This could be helpful at some point in time. Further it will help you improvise and enhance your skills in designing. It will motivate you and give food for thought. Can your design provide solution? You would wonder how. We are here to offer solutions to our people. Whenever, you embark into creating a design…designing a great piece of work, make sure that it would either be an answer or a solution to the problems of the people. Scrutinize whether the contents included on your page will find utility. Check whether these contents or images are going to solve their problems or not. Screen them, sort out and eliminate useless itemsfrom your site. As a matter of fact, you need to analyze everything, including the colour of your website background, from this angle before taking off or retaining any of the above. Unwanted and redundant matters are not to be kept for long. They have lived their life so dumpthem. This is from the point of view of your customers as they should not get annoyed by the presence of stale matter on your website. Your answer will surely find solution to your customers’ problems. Let your design be tested by some real-time users. Watch their actions in order to create a questionnaire and ask for feedback on their findings. Inadvertently, you could have missed out some of the elements while creating your design. You may like the style and overall appearance of your design but it may not be necessary that your user will find it appealing. If a real-time user is made to test it, you will gather proper information and get to know how well it will work with others. You can start working on rectifications/improvements on your design from your point of view by examining, once you have the feedback from real-time user. Find out whether it is capable of solving a problem as we pointed out in item No. 9 above. It will facilitate you to decide whether your job was right or it needs modifications. You know now what kind of a design will solve the problems rather than irking your users after they visit your site. Take a trial of the tinydetails of each and every element of your site and examine how it works, the ease of use, loading speed and how well your people could relate to these details or whether it needs any corrections. Believe you me, we have been incorporating the above points into our design strategy when we plan your designs that people love. It has been a great success. 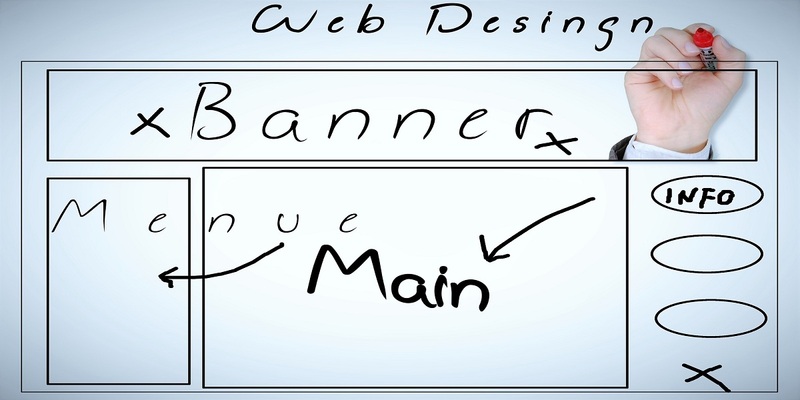 Follow these simple steps and you will be able to create a grand website design!